Q: How does working with an EmdotScott investor work? A: The process is very simple. All you have to do is submit some basic information on the “Sell Your Texas House Fast” submission form in the right hand column. Once you have submitted the form, the information will be sent via email to us and we can review the submission and give you a call to discuss your home and your situation. After talking with you we will be able to create a solution that will be a win/win for the both of us. We will make you an immediate cash offer to buy your Texas house fast. Working with us is easy, low pressure, and is guaranteed to put money in your pocket fast. 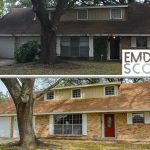 A: Just as every homeowner’s situation is unique, so is the process in which we determine what an appropriate offer for your Texas home might be. We take into consideration the condition of the home, cost of repairs that need to be made, the current local market conditions here in Texas, as well as the urgency of the situation. We have purchased several homes and know the areas really well. Our experience gives us the ability to quickly make you an fair offer. A: There is no fee to the home seller for our services. A: We buy all types of real estate except for raw land. So please don’t hesitate to submit your multi-family, single family, condo, or town home to us for review. A: If you are behind on payments, we can work out a Texas Short Sale with your lender to get you out from under the property. we have a team of expert negotiators to deal with the bank on your behalf. Q: What if I am behind on taxes? A: If you are behind on taxes, we can work out a deal with you that would pay the back taxes on the property. Depending on how much you owe we can make arrangements. Q: Are you Licensed Real Estate Agents? A: No we am not. We have a team of agents who act on our behalf. This cash offer is simply a quick transaction from one party to another.